These pictures were recently taken on a camping trip in central Wisconsin. I was operating the IC-703+ with about 8 watts into what I like to call "The Multiband Dipole - One band at a time." It's really a normal dipole with threaded couplers soldered in the right places for each band. This antenna works great for a portable antenna for 40 - 6 meters. 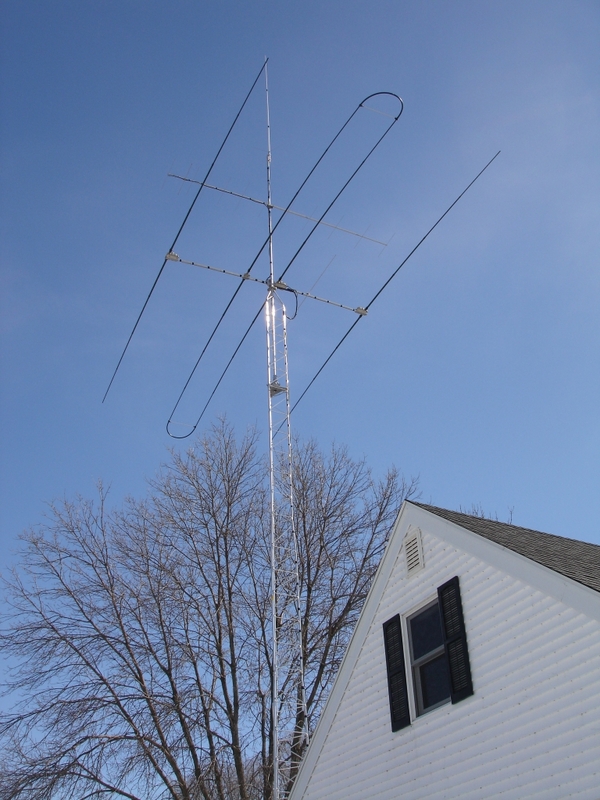 For more information on this antenna, click here. IRLP node 4994 is connected to the N0EXE repeater. For more information on IRLP and how to use this node click here. The N0EXE repeater is located in downtown La Crosse. The frequency is 444.7500+ with a PL of 131.8. 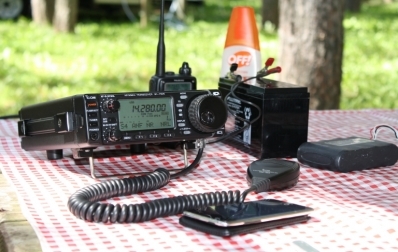 For more information on this repeater click here. The APRS Digipeater is now in operation at the repeater site. Where is W9UUM? Click here.